Loop-mounting partitions from a disk image. Add new application to Open With Other Application… | Ubuntu Technical. 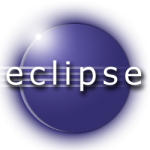 Eclipse Papercut #10 – Eclipse on Ubuntu: Fixing the black background color in hover | vogella blog.